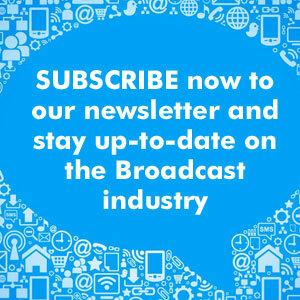 StreamGuys and Barix enhance IP Audio distribution. 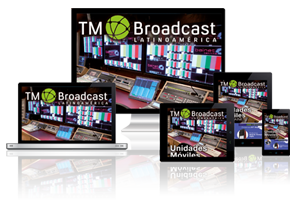 TM Broadcast. StreamGuys, a pioneering SaaS-based streaming solutions provider, and IP audio innovator Barix today announced powerful enhancements to the companies’ joint Reflector stream delivery and management service. Support for uncompressed audio streaming with metadata enables new cloud-based encoding, processing and distribution workflows that lower customers’ costs and expand their output capabilities while elevating quality for point-to-point transport. 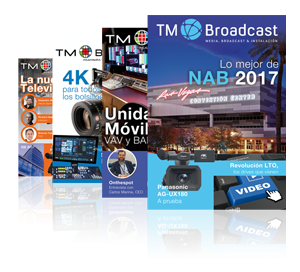 The upgraded solution will be showcased at the upcoming 2018 NAB Show (April 9-12 in Las Vegas), where Barix will exhibit in booth C1139 and StreamGuys will co-exhibit with ENCO in booth N3824. Developed by Barix and hosted, operated and supported by StreamGuys, the Reflector managed service allows broadcasters and content producers to easily create IP-based audio delivery links without the effort and complexity of configuring static IP addresses and firewalls. Audio from a Barix hardware endpoint is transported across StreamGuys’ robust content delivery network, bolstering reliability, while management of the link is simplified through an intuitive, cloud-based portal. The enhancements build on this proven foundation to enable new distribution architectures and use cases. Processing audio streams for distribution in multiple formats and bitrates has typically required customers to purchase, deploy and maintain full-featured encoding systems, many of which run on the Windows operating system and require frequent software updates for security and stability. New cloud-based encoding services powered by the upgraded Reflector unchain users from these burdens, bringing down total cost of ownership while exponentially expanding the number of simultaneous encoded outputs they can create and deliver. Leveraging the dependability of dedicated hardware, a current-generation Barix Exstreamer 500 encoder/decoder unit transports source audio via Reflector to StreamGuys’ broadcast-grade cloud infrastructure as an uncompressed PCM stream with metadata. StreamGuys’ virtualized Remote Encoder offering then transforms the uncompressed audio into any desired combination of bitrates and profiles for subsequent distribution. This combination of Reflector’s new uncompressed streaming capabilities with StreamGuys’ cloud-based processing expands the applications of Reflector from its original single-format, point-to-point roots to unlimited multi-format, multi-point distribution for live Internet broadcasting, multi-station radio networks, program syndication and more. Meanwhile, Reflector’s newly-added support for metadata in the stream allows broadcasters to transmit program data – such as song and artist titles – along with audio data, and to trigger metadata-driven systems such as server-side ad insertion. 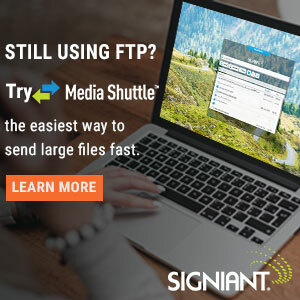 Reflector’s new uncompressed transport functionality also brings benefits to the service’s traditional point-to-point architectures for studio-to-transmitter (STL), studio-to-studio and remote contribution links. Uncompressed PCM audio with metadata can now be transported by Reflector between two current-model Barix Exstreamer 500 hardware endpoints, pairing reliability with unsurpassed quality.